Goodnight, and good luck, ye huddled masses…. This was never supposed to be a political blog. I am a political creature, but this blog was really just designed to keep me amused, and share my thoughts with those of you that have nothing better to read while you eat your sandwiches at your desk. I have to admit however that a couple of things I have come across in the last week have rather made me think more politically. The usual disclaimers apply; other political ideologies are available, and no fluffy animals were harmed in the creation of this thought process etc etc. 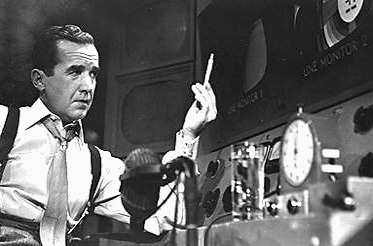 Last week I watched George Clooney’s Good Night and Good Luck that portrays the conflict between veteran radio and television journalist Edward R. Murrow and ‘The Junior Senator from Wisconsin,’ Joseph McCarthy. For those of you not kept awake by American politics of the 1950’s and the Cold War, McCarthy was the leader of a significant and influential sector of the American Government that was obsessively paranoid about widespread Communist subversion. He was noted for making claims that there were large numbers of Communists and Soviet spies and sympathisers inside the United States federal government, military forces, and judiciary. Most of his claims were total speculation and scaremongering, used for political ends, but the atmosphere of fear, mistrust, and paranoia he created lead to the term McCarthyism being used for not only anti-communist activities, but also more generally in reference to demagogic and unsubstantiated accusations, as well as public attacks on the character or patriotism of one’s opponents. The film questions what it is to be American, and to be loyal to the founding principles of the United States. Forgive the lengthy quote, but at one point Murrow broadcasts, “We must not confuse dissent from disloyalty… We will not walk in fear, one of another, we will not be driven by fear into an age of unreason. If we dig deep into our history and our doctrine, we will remember we are not descended from fearful men. Not from men who feared to write, to speak, to associate, and to defend causes that were, for the moment, unpopular… We can deny our heritage and our history but we cannot escape responsibility for the result…As a nation we have come into our full inheritance at a tender age. We proclaim ourselves as indeed we are, the defenders of freedom where ever it still exists in the world. But we cannot defend freedom abroad by deserting it at home.” It’s stirring stuff, well executed, and made me warm again to our friends across the pond. 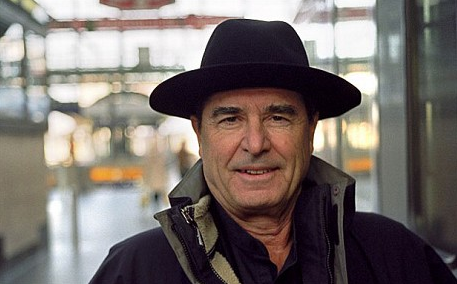 I was perplexed and angry therefore when I read a piece in last week’s Sunday Telegraph written by Paul Theroux, the well known travel writer and novelist and father of Louis Theroux. I will leave it to your own conclusions to draw parallels between Murrow and young Louis, but I just thought I would throw that one out there. I love Paul Theroux’s books; his ‘Great Railway Bazaar’ is highly evocative, and his ‘Kingdom by the Sea’ captures Britain in a sort of academic Bill Bryson sort of way. It’s well worth a read, and follows his walk in 1982 around the perimeter of Britain capturing Thatcher’s Britain at its social and economic low water mark. As I said, this is not supposed to be a political blog, but I don’t want to find myself in a world where fear, suspicion, and terror are the primary motivating influences. Perhaps it is time that America (and for that matter, the UK) begins to acknowledge The Palestine as an independent state and not continue to veto its application to join the UN. Perhaps it should be possible for Americans to have dual citizenship with some God fearing, but Muslim, nations. Perhaps we as individuals should think about how we have allowed fear to infiltrate our lives rather than expect our governments to defend us from all dangers and perils of this night. Perhaps we need more Murrows and Therouxs to make us realise what is done in our names. But more than that, perhaps we all need a little more trust in one another. Oh, and another cup of tea. Excellent blog, Tim, I could not agree more. Thank you, Tim. Bull’s eye!